Based on the 2009 memoir by Ramone’s brother Mickey Leigh, the story revolves around the birth of the punk movement. Rock may not be dominating radio, but it’s seeing a resurgence onscreen. Nick Cassavetes is the latest to join the band, signing on to adapt and direct the indie I Slept With Joey Ramone. Based on the 2009 memoir by Ramone’s brother Mickey Leigh, the story revolves around the birth of the punk movement. 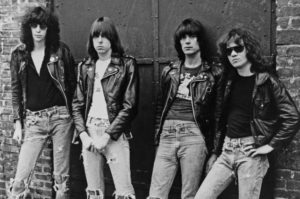 With debut album Ramones in 1976, Ramone became the poster boy of disaffected youth in the 1970s and ’80s, influencing the counterculture for decades to come. Gene Kirkwood (Rocky) is producing and putting together the financing.